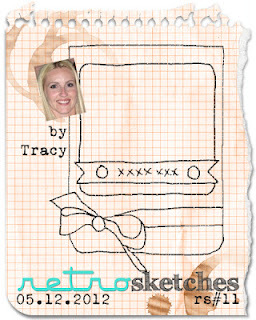 I am always seeing such great things on blogs where people make cards using the Retro Sketches so I thought I would have a go at one this week. I've had the flower fusion stamps and dies unopened for ages so broke them out for my card and used raspberry fizz, autumn rose and the lovely new winter wisteria colours. The photo is a bit over exposed and bright but I think you get the idea! I may fix that ribbon some what, but I had fun mixing things up a bit. Beautiful card. Love the colors of those flowers. Your bow looks great. Love the little border design too. This is such a sweet card Chris! The colors are wonderful! So glad you played RetroSketches this week! I love this colourful card Chris... it is so cheerful, enough to brighten your day if you received this.